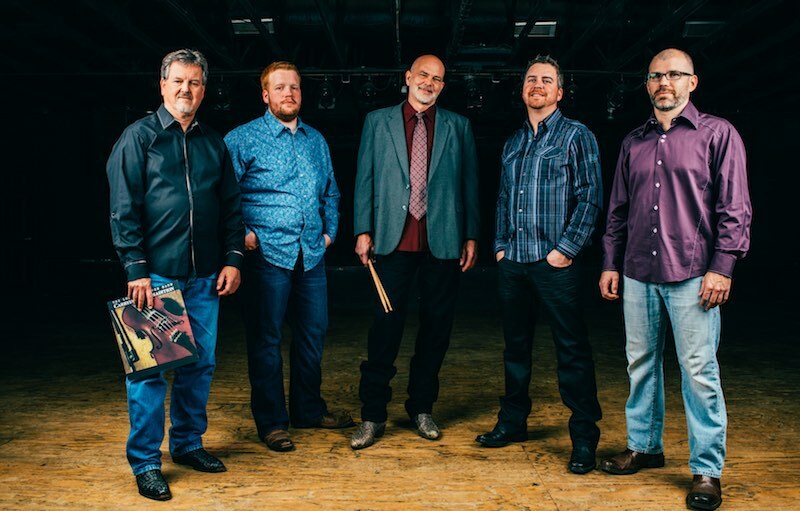 Lonesome River Band had been established for nearly a decade when the band released its landmark album, Carrying the Tradition, in 1991. The critically acclaimed project ushered in a new era for bluegrass by acknowledging tradition while introducing new elements that expanded the genre. Now, 25 years later, this award-winning band is again set to build on the familiar while adding bold progressiveness to its legend with this latest release, Bridging the Tradition (Mountain Home Music Company). Driving, in-the-pocket power Bluegrass is here as well. The Carter Stanley classic, “Rock Bottom,” lives along-side the commanding, “Swinging Bridge.” Both are examples of the finest Traditional Bluegrass being recorded today. Bridging the Tradition is both familiar and progressive, with each track receiving just the right treatment. Some arrangements include the addition of masterful session drummer, Tony Creasman, who adds percussion in the most tasteful way to complement the rhythmic pulse that is a hallmark of the LRB sound. This album is different from anything we’ve ever done. The songs are ones that we are really personally interested in doing. What we came up with has once again helped to recreate our sound. All the while, we are being true to ourselves as musicians. – Sammy Shelor. Lonesome River Band is continuing to evolve in the ever-changing landscape of Bluegrass and Acoustic Country music. With Bridging the Tradition, the band once again delivers incredible, ground-breaking music that is rooted in the tradition it began decades ago. Since its formation 34 years ago, Lonesome River Band continues its reputation as one of the most respected names in Bluegrass music. Five-time International Bluegrass Music Association (IBMA) Banjo Player of the Year, and winner of the Steve Martin Prize for Excellence in Banjo and Bluegrass, Sammy Shelor leads the group that is constantly breaking new ground in Acoustic music. With two stellar lead vocalists, Brandon Rickman (guitar) and newest member Jesse Smathers (mandolin), and the impressive talents of Mike Hartgrove (fiddle) and Barry Reed (bass), the band seamlessly comes together, performing the trademark sound that fans continue to embrace.